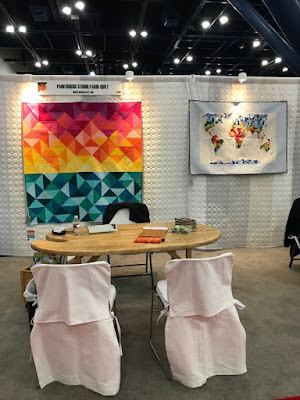 You may have seen sneak peeks of our Houston Quilt Market booth on Facebook or Instagram; we're offering the full recap here! Much of our booth's focus was on our Painter's Palette Solids (168 colors!). The booth included a Pop Up Shop where quilt shop owners could purchase precuts or yardage to take home and sell in their shops. 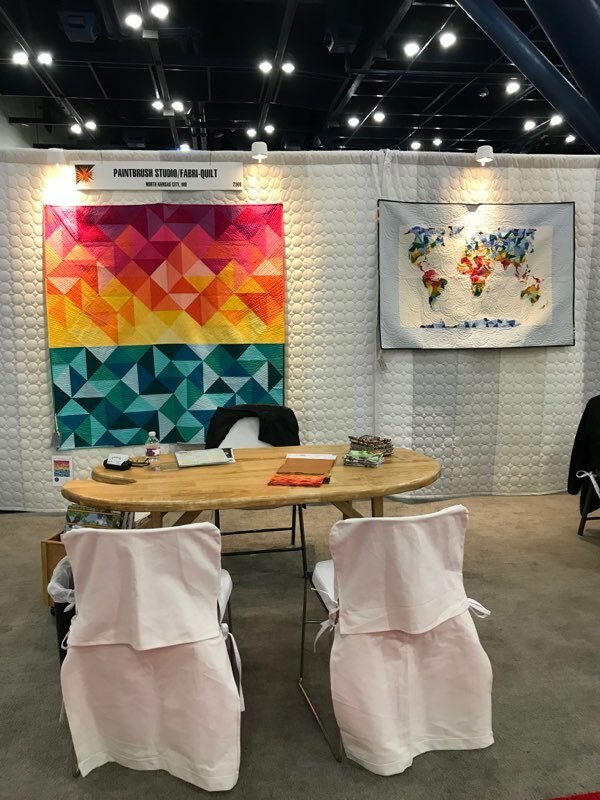 We collaborated with Indygo Junction on a booth this year. 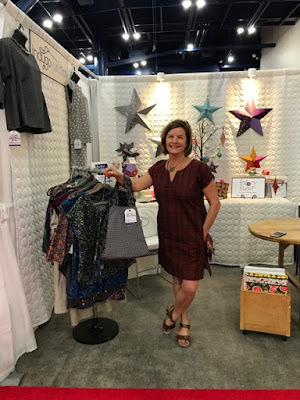 If you're not familiar with Amy Barickman and all the patterns Indygo Junction has to offer, check out her website! 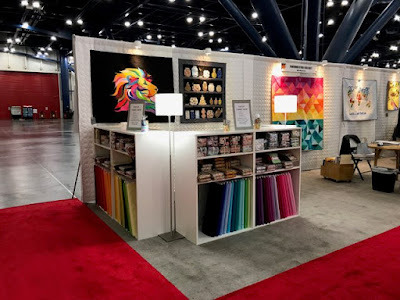 All of their displays are made from our fabric. Now, the close-ups of the quilts...what you've been waiting for! 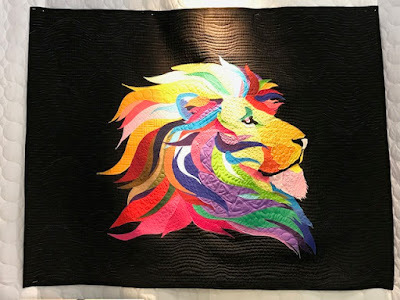 "The Lion & the Paintbrush" by Valerie Funk, made using our Painter's Palette Solids. 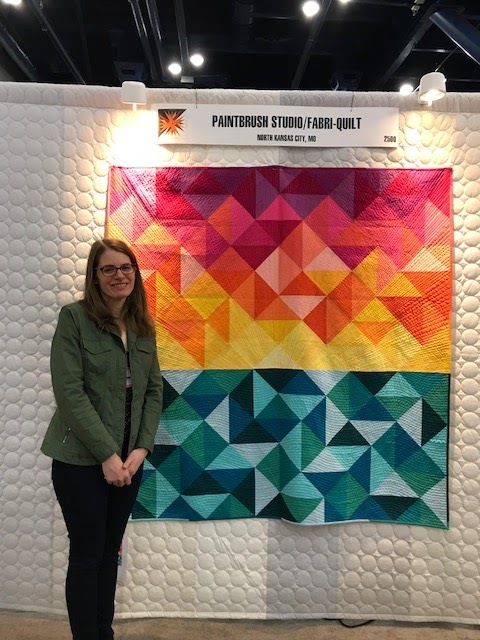 Sheri Cifaldi-Morrill with her "Sun Salutations" quilt made from Painter's Palette Solids (gorgeous--it glows!). 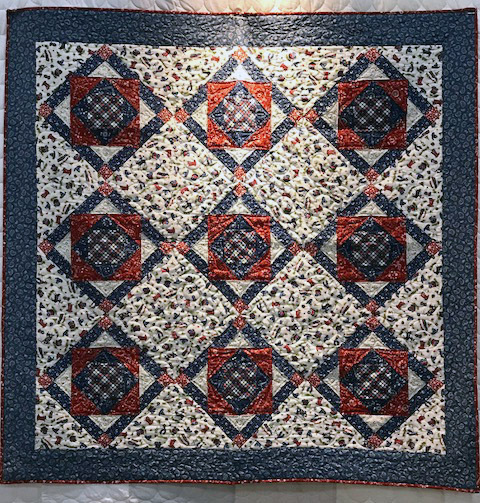 Purchase the pattern here. 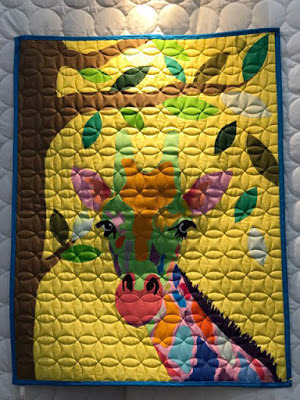 Valerie Funk's "Gypsy" quilt--love the colors on the giraffe! 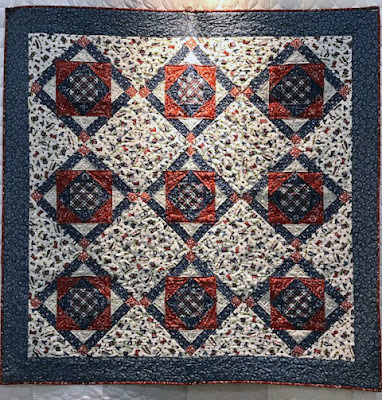 Barbara J. Eikmeier's Cowboy Quilt featuring her Kick Off Your Boots fabric collection. Find the free quilt pattern here. 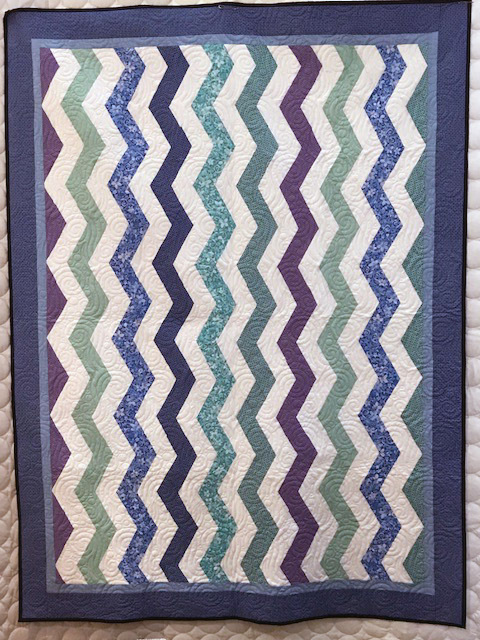 This zigzag quilt features the solids and coordinates from our Mayfair collection. These fun Painter's Palette Solids quilt made a reappearance! 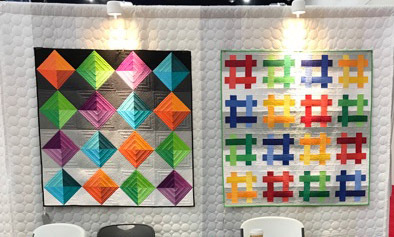 Download the free quilt pattern for the Hashtag quilt (right) here. 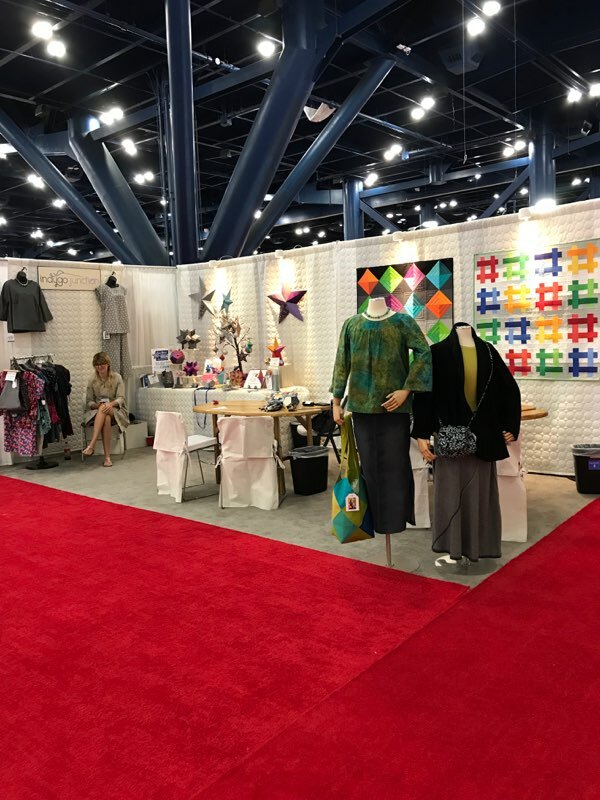 Hope you enjoyed our booth recap! 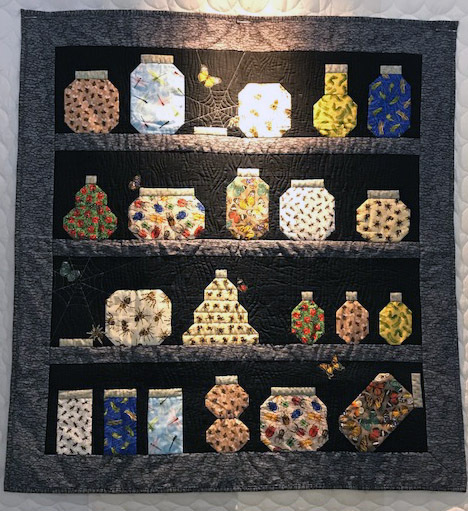 Labels: Fall Quilt Market, Indygo Junction, Kick Off Your Boots, Mayfair, Painter's Palette Solids, You Bug Me! Thanks so much for the recap! I love seeing the unique quilts and a little of what is coming up in the new season.